As a life long martial artist it was always my ambition to pursue a career inspiring others to take control of their health and well being. 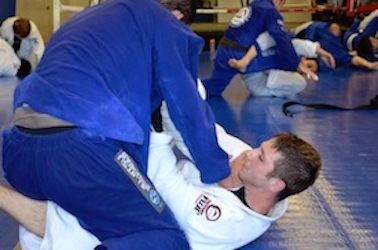 I was exposed to occupational therapy through my Judo and Brazilian jiu-jitsu students who included a man with athetoid cerebral palsy, and children with developmental and learning disabilities. When I did the research into what occupational therapy was, it’s theory and practices really spoke to me. After undergrad I spent time traveling and competing as a sponsored mixed martial artist and worked as an instructor in the San Francisco Bay Area. During my Level II fieldwork at a skilled nursing facility I watched a patient who was recovering from Guillain-Barré walk to his son’s car after 9 months of recovery. A two-toed sloth, because they have maximum efficiency with minimal effort. And two toed because they are cuter than three-toed sloths. I would like to be remembered as someone kind and strong, compassionate and daring, a seeker of truth who found peace in reality.